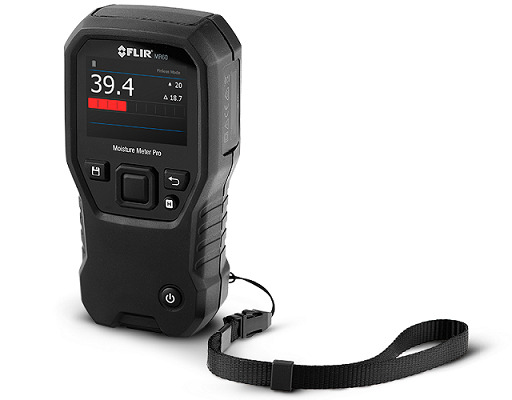 Description: The FLIR MR60 Moisture Meter Pro is an easy-to-use pin and pinless moisture meter with advanced functionality. An integrated pinless sensor and an external pin probe provide the flexibility to take destructive or non-destructive measurements. Select one of the eleven material groups for pin moisture, or set a reference point for pinless moisture scanning. Then conveniently save screenshots of your measurements as a CSV file with the date, time, and settings.